Debi Potter® Can Increase Your Peace of Mind with Professional Guidance from Contract to Closing! HOW IS THE MARKET IN STUART FLORIDA? Curious about the market in Stuart Florida or preparing to sell? The correct selling price of a home is the highest price that the market will bear. A Free Market Update of comparable properties sold and offered for sale in your neighborhood is available to you for your review. Updates on the market can be emailed to you to keep you informed as the market changes. For the most up to date Market Information, simply enter your criteria below, and we will provide you with a speedy response. The more information given, the more accurate the evaluation. All information you provide is secure and will be kept strictly confidential. There is no obligation for the Free CMA. Please indicate if or when you are thinking of selling and if you are moving within Stuart or relocating outside Stuart. 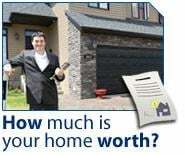 If you are preparing to sell, with my background in appraising and real estate sales in Martin County, I can help guide you to the right asking price point to maximize your net dollars in the time frame that meets your needs best. To provide a more detailed Comparative Market Analysis (CMA), I would be more than happy to also assess your property in person in the Stuart area or Sewall's Point, Jensen Beach, Palm City, Hutchinson Island and Hobe Sound. As always, you can call Debi Potter at 772-240-2550 for a consultation to discuss your real estate needs. I look forward to hearing from you. Start with the resources I’ve provided including a Free Comparative Market Analysis. These will help get you started in terms of assessing your real estate situation and planning for a stress-free and successful sale. The real estate market in Stuart, Florida is volatile, especially lately, and it takes an experienced professional to move your house quickly, professionally, and profitably. Deborah B. Potter Coastal Florida Realty, Inc. Stuart, FL 34994 Phone: 772-240-2550 Mobile: 772-240-2550 Fax: 772-675-5700 Email Deborah B. ©2011-2019 Coastal Florida Realty, Inc.